Lots and Lots of Letters – The Worst Mom Ever! 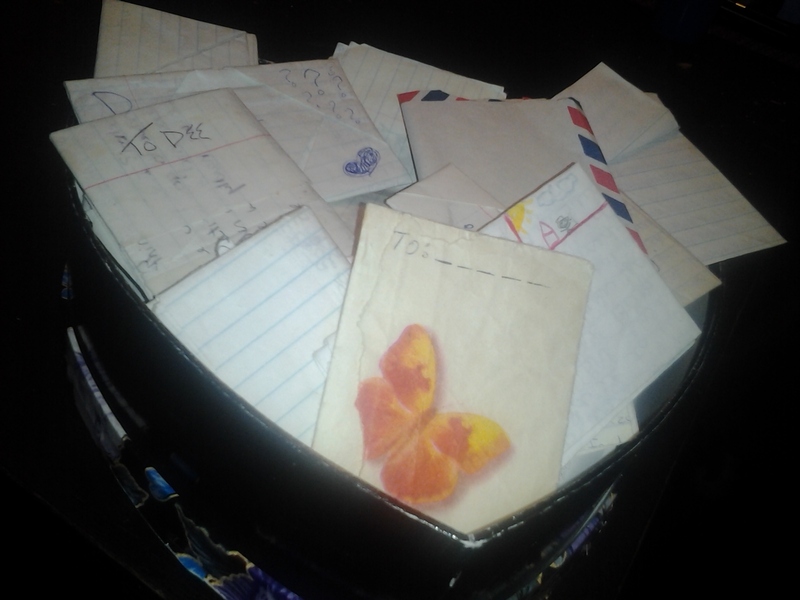 I have a box full of letters written to me back in high school. Some are from friends (these were the days before email and texting) some are from ex boyfriends (before they were ex’s of course), there’s one from an admirer who I never saw again after he gave me the letter, and some are even from MrLibertyDee back when we were “just friends”. I have decided however, to hold on to them solely because I want to share them with my daughter when the time comes. Not only will they be piece of ancient history when people communicated with a paper and pen, but I think there are lessons to be learned from those letters. Some of the letters are written by people who are still in my life today, some are from people who I simply lost touch with and some are from …well…just people I went to school with. 1. Your first love will break your heart but you’ll move on and you will love again. 2. Your second love will break your heart even worse than your first but again you will live, the world will not end and you will go on to live a full and productive life. 3. Gossip is just gossip. Take it for what it is and nothing more. Never judge people based on what others have to say about them. 4. As a follow up to the above, don’t let gossip define who you are either. 5. A boy will promise you the world but will rarely deliver. 6. Your best friend will be the one who tells you things you don’t want to hear. 7.Be careful what you put in writing as someone may blog about it 20 years later. Do you keep old letters? Lol, I love number 7!! I keep letters and cards, mainly those with personal notes, cause I too worry after watching hoarders and if they didn’t write me a note in the card, I probably don’t need to keep it! In my 60 something years I have kept only the letters from my mother, the letters from my children and one from my brother. All others are long gone!